Injuries that do not present until after a car accident are extremely common. It is estimated that every single year, three million Americans are injured in automobile accidents. These injuries can range from minor bumps and bruises, to serious life-altering injuries. Some of these are apparent immediately. Other injuries can be harder to spot, or masked by adrenaline. The victim may walk away feeling fine, but over the next few days, they realize something is seriously wrong. Unfortunately, if you wait a few days to see a doctor, this an have a negative impact on any claim you file for that injury. The best practice after any sort of an accident is to seek medical care as soon as possible, even if you don’t thing you were injured, or your injuries were only minor. Go to the doctor, have an examination, and save all your medical bills and records, so that you have solid evidence to use in court later. A concussion is a mild form of traumatic brain injury (TBI) that occurs when the brain reverberates inside the skull. Concussions usually only take a few days for the sufferer to recover, but in rare cases they may cause long-term problems. Some people believe that a concussion may only occur after a direct blow to the head, but this isn’t the case. Concussions may also happen after a sudden change in momentum that causes the neck to jerk violently and the brain to bounce against the skull. Even if you weren’t directly hit in the head, you may still be at risk of concussion. The most obvious symptom of a concussion is loss of consciousness, although not all concussion victims are knocked out. Other concussion symptoms include dizziness, confusion, changes in mood like anger or irritability, changes in eating or sleeping habits, decreased response time, and sensitivity to bright lights or loud noises. Loss of memory is also common, but not universal, and you may also experience a headache. Typical Timing of Symptoms: Concussion symptoms can appear immediately after an accident, or they can take hours, or even days, to appear. Most often, the symptoms of a concussion will have appeared within three days of the injury. Typically, concussion symptoms will dissipate within a few weeks; if they last longer, this may be a sign of a more serious brain injury. After a concussion, the patient should rest for a few days. This includes refraining from physical activity, but it also includes taking a break from any activity which may strain the brain. Even seemingly low-key activities like reading, watching TV, using the internet, or listening to music can sometimes be too much for the brain after a concussion. Because concussions can interfere with coordination and response time, it is also best to avoid driving for a few days. Whiplash is one of the most common types of car accident injuries with delayed symptoms. Whiplash is an injury to the neck that frequently occurs in rear-end collisions. Like a concussion, it often occurs when the victim experiences a sharp back-and-forth jerking motion in the neck. Concussions and whiplash may be caused by the same accident, and their symptoms can be similar, so sometimes it is difficult to determine which injury you have. However, unlike a concussion, whiplash is primarily an injury to the neck, and not the head. It occurs when the nerves, muscles, and joints in the neck are overextended beyond their usual range of motion. 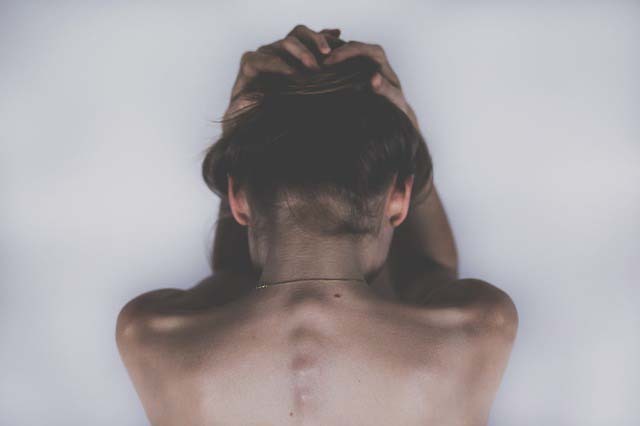 After suffering whiplash, most patients experience pain in the back of the neck, although it can also extend to the upper back, shoulders, and even the head. In addition, the patient may experience headaches, dizziness, blurred vision, changes in sleep patterns, or other symptoms such as ringing in the ears (tinnitus). 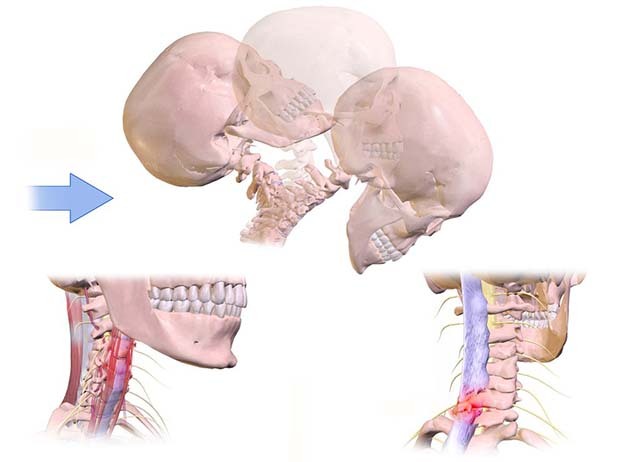 Typical Timing of Symptoms: The symptoms of whiplash are usually delayed. They often appear within a day of the injury, or within a few days. Minor cases of whiplash do not take too long to recover, typically several days to a few weeks. More severe cases of whiplash, however, can take several months to recover fully, and occasionally can lead to permanent pain. Be sure you have a complete diagnosis before accepting a personal injury settlement, because you might end up needing more treatment than you settled for. Minor cases of whiplash often do not need extensive medical attention; you can treat these at home with ice and over-the-counter pain medications. However, always see a doctor, because the damage may be more severe than you think, and it’s important to have thorough medical records of your injuries. Whiplash victims often wear a collar or brace immediately after the injury. However, doctors do not prescribe collars as much as they used to, because they can impede healing if you wear them for too long. You should only wear a collar for the first few days after the injury, and only for a few hours at a time. After this, it is good to move your neck gently. You may be prescribed physical therapy, and prescription painkillers if the injury is more serious. Soft tissue injuries involve damage to the muscles, ligaments, or tendons of the body. This is a broad category, and can include several types of injuries. Whiplash is a type of soft tissue injury, but it is not the only type. They can affect any area of the body, and can include strains, sprains, and contusions (also known as bruises). Sprains are injuries to the ligaments, or the bands of tissue which connect the bones with each other. Strains are injuries to the muscles or tendons, or the tissues which connect the muscles with the bones. Contusions occur when the muscle fibers are damaged by a blow; they can involve any of the muscles of the body, although contusions are also known to affect the brain, and may even be considered a form of traumatic brain injury. Strains and sprains are measured on a three-tiered scale. Grade 1 strains and sprains are the mildest, whereas Grade 2 strains and sprains are moderate, and Grade 3 are the most serious. Bone fractures are not a form of soft tissue injury. It is also rare for pain from a fracture to be delayed; the sufferer usually experiences sharp pain immediately following the injury. After a soft tissue injury, the sufferer will usually notice some pain, although the precise nature and level can vary, depending on the injury. It is also common to notice swelling around the injury, as well as stiffness, discoloration, and difficulty bearing weight. Typical Timing of Symptoms: Soft tissue injuries may be missed in the initial evaluation, but typically become apparent within a few days. Sometimes, a soft tissue injury may take a week or more for symptoms to present. In the first few days after an injury, it is best to get plenty of rest, apply ice to the area intermittently, wear a compression glove or bandage, and elevate the injured area above your heart, if possible. This protocol is often remembered by the acronym RICE (Rest, Ice, Compression, Elevation). During this period, you should avoid heat, exercise of the injured area, or drinking alcohol (although later you may want to use heat and start to do some gentle exercises). Healing time for soft tissue injuries can vary depending on their severity. Grade 1 injuries (the most minor) tend to heal on their own within a few weeks, while Grade 3 injuries (the most severe) may need much more thorough medical treatment, and sometimes even surgery. If the injury is serious, you will need to immobilize it for an extended time. 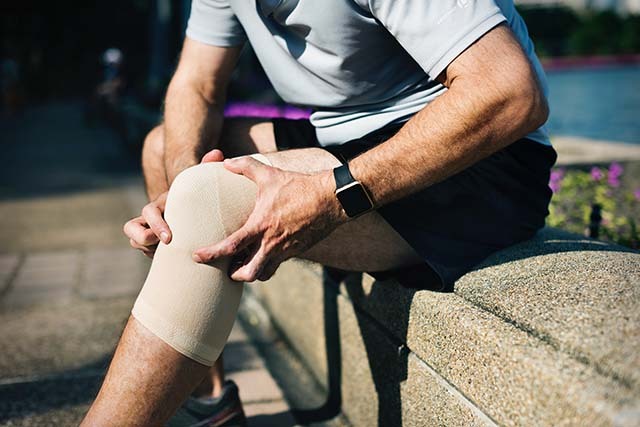 You may also benefit from physical therapy or stretching exercises, although the precise nature of these will vary depending on exactly how you were injured. Post-Traumatic Stress Disorder (PTSD) is a mental disorder that develops after people are exposed to a serious trauma. PTSD is commonly associated with combat veterans and victims of sexual assault, but it occurs to other groups of people, including victims of devastating car accidents. In fact, PTSD is widely recognized within the medical community as a legitimate disorder, and there is a strong body of evidence linking it to car accidents. PTSD symptoms can take a while to develop, but can have a devastating impact on a person’s quality of life. The legal system has long allowed for damages to be recovered for psychological injuries, as well as physical ones. If you are suffering, you should feel no qualms about seeking damages for your trauma. Individuals who suffer from PTSD often suffer flashbacks of the incident, which can be terrifying. They are often triggered by an outside event that reminds you of the trauma, such as driving by a car accident or seeing a news article about a crash. PTSD sufferers may avoid going near places or things which remind them of the accident. Typical Timing of Symptoms: You won’t notice PTSD in the immediate moments after an accident. Symptoms will start to appear over the course of the next few days or weeks. Sometimes, PTSD symptoms may show up months or years later. Because it is a psychological disorder, PTSD can be complicated to treat. 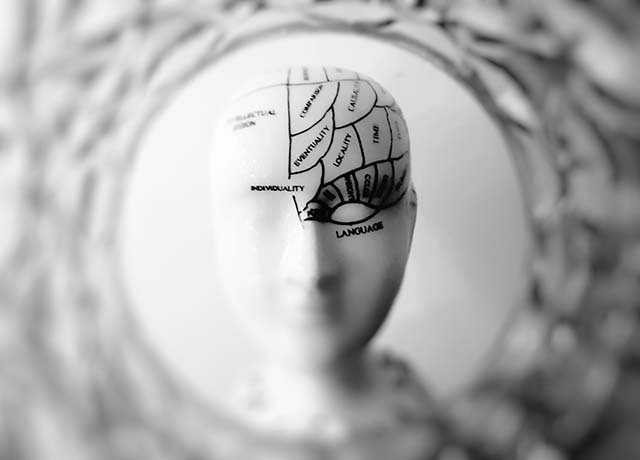 There are various therapeutic techniques that have been shown to help, including talk therapy, exposure to the traumatic stimulus, writing about the traumatic experience and forming it into a coherent narrative, and working with eye movements to decrease one’s stress reaction. Everyone is a little different, so everyone’s treatment plan for PTSD is unique, and may use any or all these techniques, or else something entirely different. In addition, many sufferers of PTSD take antidepressant medications, such as Prozac and Zoloft, to treat their symptoms. These medications are often an effective tool in tackling PTSD. They can be used on their own, or in conjunction with the above mentioned therapeutic techniques. The above is by no means an exhaustive list of injuries with delayed symptoms. For instance, one of the most serious types of delayed pain can be abdominal pain. This may be a sign that your internal organs have been damaged, which, if not treated early enough, may be life-threatening. Serious and permanent traumatic brain injuries (far worse than concussions) can also go unnoticed after an accident. That is why, no matter how minor your injuries, you should always see a doctor after an accident — consider it a routine part of the procedure after a car accident, like exchanging information with the other driver, reporting the accident to your insurance, or repairing your car. Your body is more important than your car, so take care of yourself first. Aside from seeing a doctor, what other steps should you take after an accident to ensure you are compensated for any delayed injuries? The most important thing you can do is to not settle early. If you have been in an accident and the other driver was at fault, the other driver’s insurance will often try to get you to sign a release of liability, which may even have a large amount of money attached to it. Don’t be tempted. While the settlement may seem reasonable or even generous at first, it might turn out to be much less than what you deserve, particularly if you have an injury with delayed symptoms. Don’t sign anything without your lawyer, or without receiving a complete medical evaluation. Once you’ve signed a liability release, you won’t be able to receive any more damages for any injuries that appear later. Sometimes, it might do well to wait even further: until the point when you have reached what is known in medical lingo as maximum medical improvement. This is the point where you have healed fully, or, if your injuries are permanent, you have at least recovered to the point where you can recover no more. At this point in your case, it will be much easier for your attorneys to calculate a fair settlement for you. Fortunately, knowing when to settle your case isn’t entirely on your shoulders; it’s a decision you should make with your lawyer’s input.